Lower back pain relief can be elusive, and it helps to know all your options. 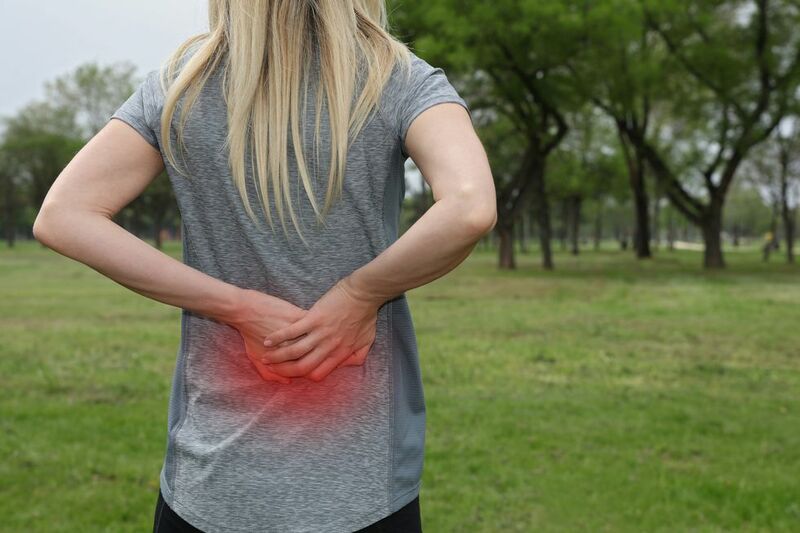 Whether it was brought on by arthritis, a structural or nerve problem, bending the wrong way, or lifting something a little too heavy, low back pain is frustrating as all get-out. But if you’re struggling, know this: You’re definitely not alone. Most people experience back pain at some point in their lives, and it’s one of the most common reasons people book doctor’s appointments and call out of work. It’s also one of the leading causes of disability worldwide.Back pain treatments range from simple to complex, and the right course for you depends on how long you’ve been hurting, the severity and location of your pain, and whether your pain is structural or muscular. But in any case, you’ll likely start with conservative, home-based remedies before you move on to doctor-assisted treatments. If your back pain just started, consider slacking off, just this once. About 90 percent of back pain episodes resolve themselves on their own within six weeks. People who don’tpursue extreme treatment tend to have fewer complications than those who end up rushing into invasive treatments before it’s truly necessary.Of course, the thought of waiting over a month for your pain to subside may feel unbearable. Try these patience-prolonging strategies to relieve your pain and possibly even shorten the wait until Father Time works his subtle magic. Even as you practice patience, a nonsteroidal anti-inflammatory drug (NSAID) such as ibuprofen (Motrin, Advil) or naproxen (Aleve) can help ease the pain you’re pushing through. The research behind medicine guidelines for lower back pain finds that these may give slightly better relief than acetaminophen (Tylenol). Over long periods, NSAIDs can cause gastrointestinal problems, so don’t take them for more than 10 days without consulting your doctor. Break out that bag of frozen peas (or an ice pack, if you want to get fancy) for the first 48 hours after the pain sets in, and put it to use for 20 minutes a session, several sessions per day. After those two days are behind you, switch to 20-minute intervals with a heating pad. Localized cooling shuts down capillaries and reduces blood flow to the area, which helps ease the swelling, says Lisa DeStefano, an associate professor at Michigan State University College of Osteopathic Medicine in East Lansing. Cold also thwarts your nerves’ ability to conduct pain signals. Heat, on the other hand, loosens tight muscles and increases circulation, bringing extra oxygen to the rescue.Supportive shoesSome back trouble starts from the ground up. Women whose feet roll inward when they walk (what’s known as pronation) might be particularly susceptible to lower back pain, according to a recent study in the journal Rheumatology. Another study finds that correcting the problem with orthotics may help. How old is your bed? You may be surprised to learn that the average life span of a mattress is less than 10 years. “There’s no hard-and-fast rule,” says Sean Mackey, chief of the division of pain medicine at Stanford University, “but if your mattress is sagging significantly or is more than 6 to 8 years old, I’d think about getting a new one. Something else to consider: a firm mattress may not do your back any favors, says Carmen R. Green, a physician at the University of Michigan Back & Pain Center. A number of studies over the years suggest that people with lower back pain who sleep on medium-firm mattresses do better than those with firm beds. Gentle stretches, walking, and periodically standing up at your desk can help stabilize your spine and prevent muscle imbalances. And despite how hard it is to imagine doing Downward-Facing Dog with a bad back, yoga can work in your favor, too. A 2013 review of studies found strong evidence it can help beat lower back pain. Any type works; one to consider is the restorative viniyoga style. Muscle relaxants: If over-the-counter drugs don’t take the edge off, your doctor may prescribe you a medication that relieves painful back spasms. If you go this route, just know that side effects can include fatigue and dizziness. Topical pain meds: These creams and ointments are meant to be rubbed directly on to the area that’s hurting you. Cortisone shots: If other treatment measures fail, your doctor may recommend an injection of cortisone, a potent anti-inflammatory. There are risks—including thinning of nearby bone—and relief typically lasts just a few months, tops. A physical therapist will teach you stretches to manage your back pain, as well as exercises to correct any imbalances that might have brought on pain in the first place. Depending on the causes and severity of your back pain, your PT may also employ other treatment techniques, such as ultrasound, electrical stimulation, and active release therapy. Acupuncture: Acupuncture may provide even more relief than painkillers, according to one 2013 review. In 11 studies of more than 1,100 people, this Chinese medicine staple improved symptoms of lower back pain better than simulated treatments and, yes, in some cases, NSAIDs. The needles appear to change the way your nerves react and may reduce inflammation around joints (which is only one of the therapy’s benefits), says DeStefano. Back pain can be incredibly frustrating, and going under the knife may seem like the quickest, easiest fix to bring relief. But the truth is, very few people need surgery to manage their back pain.